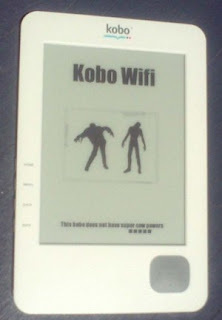 I've stopped work on the Kobo software and dev env. Harald Wellmann writes about his experience moving a Tomcat-based app to Glassfish, JBoss AS 6, and Resin. Warts and all. I think Java EE 6 really needs more real-world attitude and less hype. More bug fixing and more spec tidying, less focus on the next whizz-bang feature. It's nice to see somebody else who's had similarly painful experiences with it. Perhaps I'm not stupid after all, I simply make the foolish mistake of expecting released software like Glassfish 3.0.1 to have most features fairly solid. Harald also notes that CDI was a huge problem with Java EE 6 until quite recently, largely because Glassfish 3.0 was half-baked and under-tested; JPA 2.0 is prone to exciting implementation differences and bugs, and more. Backward compatibility is a good thing for veteran users of a framework. Users don't want to change all of their application code just for upgrading to a new framework version. On the other hand, backward compatibility can be extremely confusing to new users: There's two or three solutions for the same kind of problem, the legacy one is not marked as legacy or deprecated clearly enough, tutorials and example code still use the old style, and you can only resort to your favourite search engine or to trial and error to make things work consistently. Java EE 7 really needs to modularize the backward compatibility crap into separate archives so that apps can depend on either javaee-7 or javaee-7-legacy as appropriate. That way we'll finally be free of the two copies of the obsolete-before-release @ManagedBean annotation and all the other horrible legacy crap. I've recently been looking for better ways to publish online editions of the newspaper I work for. We don't have a full content managed workflow internally, nor do we use automatic layout, so CMS-driven cross-publshing isn't currently an option. We're stuck with finding something to do with the PDFs that come out of the print production process for the forseeable future. Scribd appears to be a much more impressive option than direct PDF publishing or tools like flexpaper & pdf2swf. The HTML5 viewer is amazing. Note how all the elements are selectable, columns have been correctly recognised in the pdf text, etc? I've been working with / struggling with Glassfish a lot lately. The documentation leaves much to be desired, so there are a few bits and pieces you might not know that might come in handy. These notes refer to Glassfish 3.1. I've been working with JavaServer Faces 2 (JSF2) since shortly after its release, and it continues to be an annoying mix of excellent and frustrating to work with. It's theoretically a great technology, especially with CDI (contexts and dependency injection) even despite the holes and quirks in the spec. There are just two wee problems. First, unlike many of the other EE specs, the JSF2 spec really isn't written to be useful for developers intending to use JSF2 in their apps. It's very much a specification not a reference, and I found it hard to read even as a specification. Because I was getting started with JSF2 in the very early days of EE 6, I seem to remember that the now very helpful Java EE Tutorial wasn't EE6 ready yet or was incomplete, so I didn't have that as a basis for learning JSF2 and EE6 either. Perhaps my memory is just failing me. In any case, I often landed up stumbling through Google-land trying to find out details that I thought should be obvious and easy to find in the spec or other reference documentation. At the time, Google-land was full of outdated references to JSF 1, lots of migration guides from Spring to EE 6, and plenty of other things to side-track a confused newbie. All in all, it was really hard to get going with JSF2 alone. Second, the JSF2 spec was clearly concocted with no thought of or co-operation with the JAX-RS spec, and it shows. They don't work well together, and it's really, really frustrating because they should be so useful in combination. Edit: Part of the issue here appears to be that I was trying to use JSF2 just for the Facelets templating language, expecting to be able to interoperate with JAX-RS where possible. JSF2 is a framework and doesn't isn't really designed to enable you to easily step outside the abstractions imposed by the framework - not least because you shouldn't need to. I was probably going about this the wrong way in a square-peg, round-hole kind of way, and shouldn't have been trying to use JSF2 in the first place. That's not made particularly obvious by the docs, though.